Is your construction or transport business based in the North East? 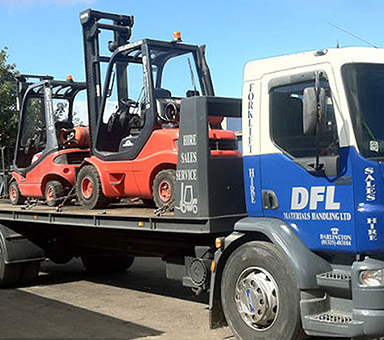 Here at DFL Materials Handling Ltd we’re here to help you with your forklift requirements and maintenance needs. 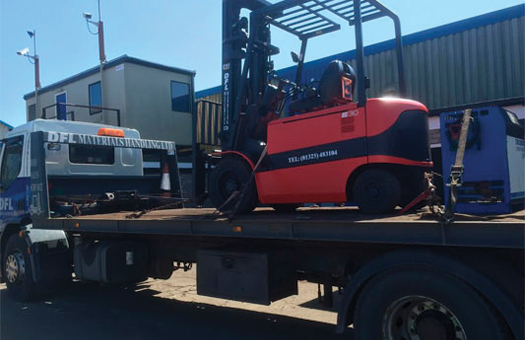 We can deliver a range of reliable and high-quality linde forklift trucks to you so that you can deliver a professional service to your own clients. Our experience within the logistics and construction trades means that we can deliver solutions for the short-term or the long-term as well as servicing or carrying out maintenance repairs on your own truck. 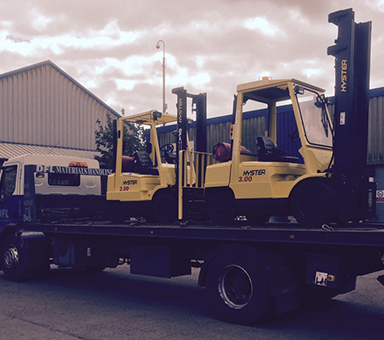 We can carry out Loler testing, undertake emergency repairs and even collect your old trucks from your workplace. No matter what your specific requirements or budget may be, we have everything from state-of-the-art models to second hand and reconditioned models for hire or purchase. 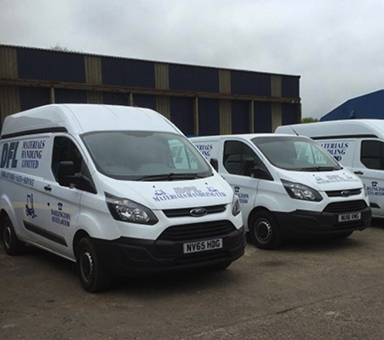 All of our vehicles are extensively checked and tested to ensure that the day-to-day running of your construction project will run as smoothly as possible. We know how important it is for customers to work with a company that they trust. 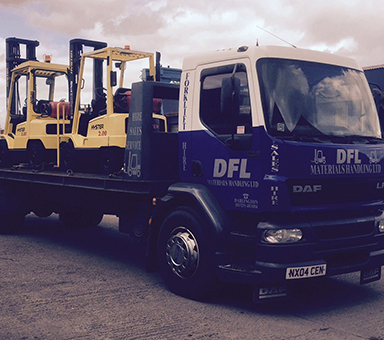 With DFL Materials Handling Ltd, you’re always in safe hands. We go above and beyond for all of our customers to achieve an unrivalled service within the industry. Want to know more about our services in the North East? Click here or contact a member of our customer service team on 01325 483 104. Alternatively, you can email dflforklifts@gmail.com and we’ll talk you through your requirements to see if we can help. On top of our great value and high-quality service, we are committed to delivering a friend and reliable customer service experience. From the sales staff to the mechanics, all of our staff have been highly trained been trained to exacting standards, so that we can offer you an unrivalled experience from start to finish. If you would like to find out more about hiring a forklift truck in the North East, call us today on 01325 483 104 or visit our contact page to get in touch with a member of the team. We look forward to hearing from you and offering you our professional, reliable service to transform your business operation. The Linde Forklift truck is the best on the market, we provide a range of these forklift trucks which are designed and built to the highest standards, they are built with ease of use and safety in mind and provide the backbone of an efficent companies logistics. 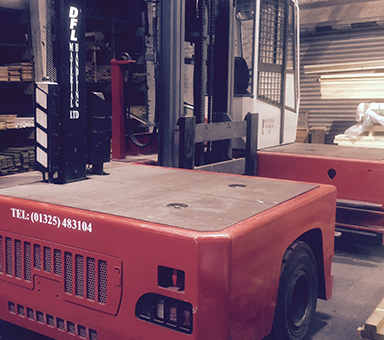 We provide a huge range of Linde Forklift trucks for hire across the North East and also provide maintenance and repair services for these Lind trucks. Safety is key when operating lifting equipment, this is why we provide a Loler Testing service to ensure you and your company and your forklift meet the regulation standards set by "Lifting Operations and Lifting Equipment Regulations 1998 (LOLER)" code of practice. These regulations must be met if your company, or your employees operate or have control over lifting equipment, whether owned by the company or hired for another company. Our Loler Testing service makes sure your lifting equipment is fit for purpose and safe to manage the risk of injury or damange.